A lot of things can go wrong with your computer. That’s pretty much a fact of life when you’re dealing with PCs and other complicated systems. One of the really big problems that any user can face is their hard drive crashing. The loss of data alone can bring tears to the eyes of any computer owner. This is not even considering the time and effort that maybe lost in what you have invested in your system. Your PC may have the fastest CPU and the fanciest video card, but all that goes down the drain when your hard drive decides to conk out. As the heart of your computer, your hard drive does pretty much all of the heavy lifting in your system. Of course, a lot of people think that it won’t happen to them – but it actually happens a lot more frequently than we think. A host of reasons exist for your hard drive to just go bye-bye: it could be a pure hardware problem, a mechanical failure – which is very difficult to deal with, or it could be rooted in the software, a logical failure – your drive partitions may have been erased or your OS has gone a bit bonkers. The key in recovering your lost data is to know what to do in the eventuality that a hard drive crash happens to you. The very first thing you have to remember is your data is still there. It hasn’t been erased and it is still recoverable – so that means don’t panic and do things willy-nilly. Don’t write anything to your hard drive – you may end up deleting the data that you were trying to save. But, the fact that it’s still there doesn’t mean you can take it easy in your hard disk recovery efforts. The longer you wait, the bigger the chance that your data gets deleted. For mechanical failures, there’s nothing much else to do but to go with a hardware solution. A quick fix would be to disconnect your hard drive from your PC and hook it up to another computer. If it still doesn’t start, some experts recommend popping your hard drive into a freezer for an hour to cool down its components and trying again. You should probably be able to get several hours of work out of it before it finally goes to the hard drive heaven – enough time to back all that data up. However, if you’ve got cash to burn, then it’s better to get a professional to look at it. For logical failures – something wrong with your software – it is much easier and usually depends on your OS. Windows disk recovery is usually the simple business of just popping in your recovery disk and resetting some settings. Windows XP disk recovery, Windows Vista disk recovery, and Windows 7 disk recovery all follow this simple process. The key thing here is that you must have made a recovery disk – it’s a pretty simple process and all Microsoft OSes have a simple guide to make one. However, this does not always work – plus there are other operating systems to deal with. This is where disk recovery software comes in. These third-party programs help greatly in getting you your data back. 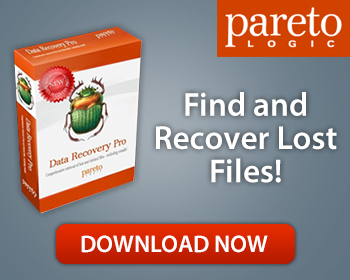 A fine example of this type of software is Data Recovery Pro. Programmed to be easy-to-use, it also has a small memory footprint – making it unobtrusive and able to work in even the most damaged of systems. It’s also quite capable of recovering a wide variety of file types – even e-mail and email attachments. Data Recovery Pro even recovers files from freshly formatted or partitioned hard drives. With all of these advantage, I have to say that if you’ve got to go for a piece of disk recovery software – I’d recommend using Data Recovery Pro.